HEAD coach Dan Protherough has admitted his in-form Bromsgrove side still has plenty of room for improvement as they look to extend their five-match winning run. After suffering three successive defeats in November, the Finstall Park outfit hit back with five wins on the trot to move them up to fifth in National Three Midlands. The last of those victories came against Sutton Coldfield where a fine first half display set them up for an impressive 36-10 win, which delighted Protherough. But the Bromsgrove boss insisted they were not the finished article yet as he was disappointed that his side, who were leading 24-3 at half-time, failed to kick on after the break. “The good thing for me is that we are winning games, but there is still room for improvement,” he said. “We are a developing side, so there are still things we can get better at. “We need to improve our concentration levels and make sure we play well for the whole 80 minutes rather than just a period of that. “On Saturday, we were 24-3 up at half-time, but we became a little complacent in the second half and suddenly had a battle on our hands. 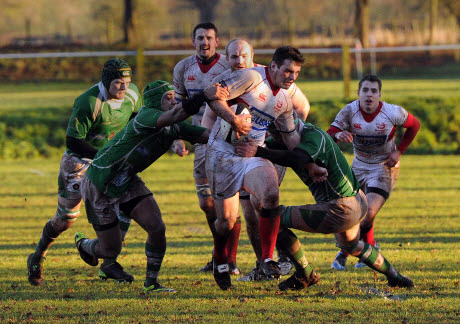 Bromsgrove’s next two matches see them face relegation-threatened Burton who recorded their first win of the season last week, tomorrow (Saturday) before travelling to bottom side Dudley Kingswinford next week. Victories over both could see the Boars close the gap on second placed Nuneaton, who are currently five points ahead of them. But Protherough said he has urged his players to be on their guard against Burton as he described them as “dangerous” opponents. “With Nuneaton playing Peterborough and Hinckley playing South Leicester, there is a chance we could move up the table if we the right result this weekend, so it is just about keeping everyone’s feet on the ground,” he added. “Playing a side who have just got their first victory is always a dangerous time because it gives them a bit of confidence.